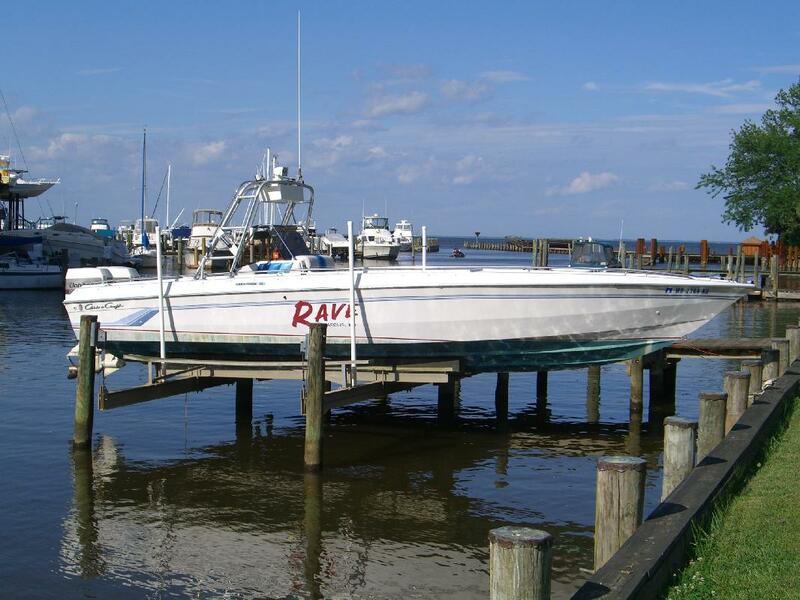 Very well maintained 31' 1988 Chris Craft Stinger 311 with twin 225 hp Johnson outboards that were completely overhauled in 1996. Custom built double trussed radar arch with rod holders and outriggers. Bose sound system. Two large baitwells. Console controlled spotlight/searchlight. Shrinkwrapped in the off-season and lift kept at private pier for past 10 years on lift. Averaged 10 hours per year since 1999. Comes with custom canvas cover. Price is negotiable.